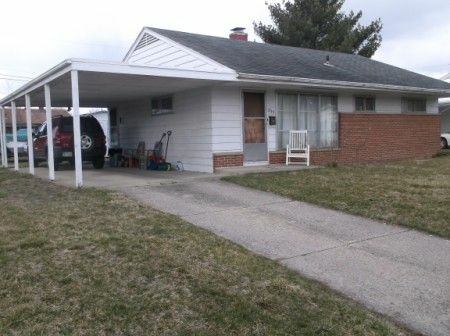 Being a one owner ranch style home with full basement and carport. 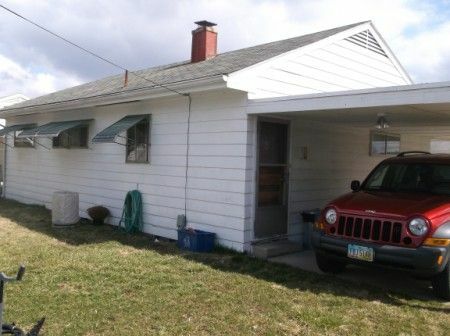 Home consisting of three bedrooms; kitchen living room combination; full bath with shower over tub. Home is equipped with Central A/C, Gas furnace, city water & sewer and is all situated on a level 67 by 100 lot. Taxes are Homestead $713.34 a year; Ross Co. Auditor’s Parcel #305447028000. Real Estate Terms: Minimum Bid $10,000.00, $3,000.00 down at the time of sale. Balance & possession at closing on or before July 1st 2013. Property offered free & clear prior to closing, no buyer contingencies exist. Sold in As-Is Condition. All information provided is to be utilized only as a guide. Buyers are responsible to conduct any inspection, inquiry, investigations and due diligence regarding to property. Buyer agrees and understands that the seller makes no warranties or representations of any kind either expressed or implied as to the condition, quality, and merchant ability of fitness for a particular purpose of the real estate or any part thereof and/or serviceability for the same. Taxes & Legal: Taxes are Homestead $713.34 a year; Ross Co. Auditor’s Parcel #305447028000.